To celebrate the publication of our new issue — Co-operating out of Crisis — we're launching an autumn magazine launch series in Oxford, Preston, London, and Bristol! University of Central Lancashire, Creative Innovation Zone, 4th floor, Media Factory, PR1 2HE. Cities face an uncertain post-Brexit future. In Preston, the anchor anstitutions have come together to reimagine their social identities through a greater commitment to Preston and the surrounding areas by means of local procurement and an increased sense of social responsibility. Join our panel discussion with Debbie Shannon, Link Psychology Co-op, Julian Manley, Preston Co-op Development Network, Kay Johnson, Preston Larder Co-op, and Andrew Birchall, Secretary of Unite the Union (54 Branch) to explore how we can continue to support the co-operative community here and elsewhere! Our economic reality is no longer credible. Can science fictions enable us to revitalise economic thinking? Can they help us transform our economic systems? Join us for a panel discussion with James Pockson, PostRational, Caroline Basset, Sussex Humanities Lab, Caroline Edwards, Birkbeck University, and afrofuturist author Florence Okoye for an evening of utopian and futuristic conversation! We'll also have beer from Toast, a craft beer made from suplus bread. In the 10 years since the financial crisis how much has changed? Are anachronistic and out-of-date frames of reference making it impossible for us to understand what is happening around us? Join our panel discussion with Noni Makuyana from Positive Money, Sarah Arnold from the New Economics Foundation, Tony Greenham from Avon Mutual, and Katie Finnegan-Clarke from the Bristol Pound for a conversation about how monetary reform, mutual banking, local currencies, and other new financial tools are transforming our economy. We'll also have beer from independent brewer, Bristol Beer Factory. Housing Crisis to Housing Disaster? The housing crisis is a growing phenomena that affects everyone. From the increasing issue of homelessness in the UK to the displacement of native communities in Malaysia due to deforestation, the housing crisis is an interconnected network of problems, people and place. 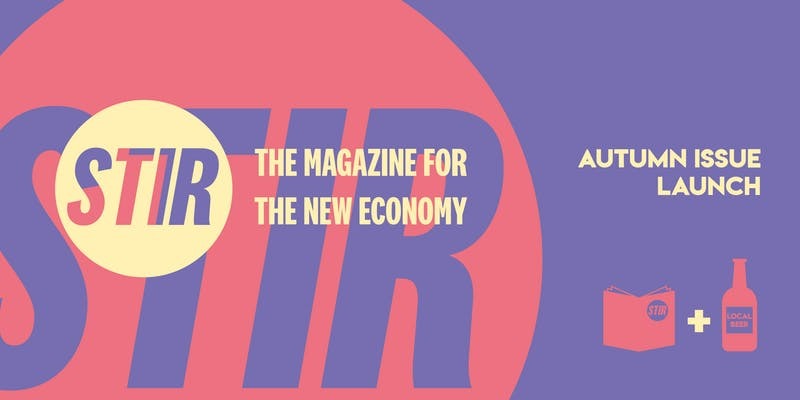 Join our panel discussion with Lucy Warin, Transition by Design, Fran Ryan, Oxfordshire Community Land Trust, and Shiasta Aziz, councillor for Rose Hill and Iffley Oxford to explore how alternative approaches to housing can unlock the creativity and energy of local people in addressing the housing crisis! We'll have beer from Tap Social, a local craft beer.